There are quite a few studies debunking the effectiveness of Open-Plan Offices (sometimes named Open Space), such as this study by the Queensland University of Technology. However, I wonder whether it might be true that OPOs might have any positive impacts. Is there any proof for that or is there only evidence to the contrary? 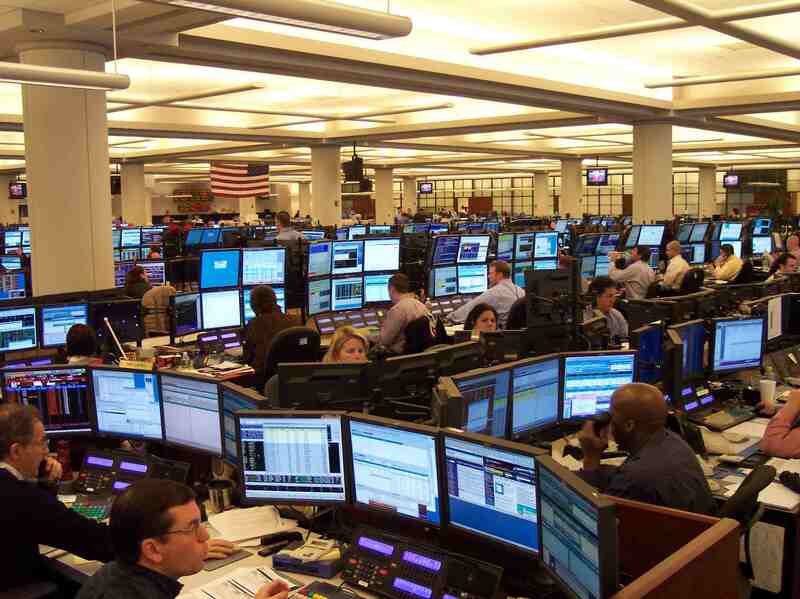 The above picture is a typical trading floor. In this environment, the whole point of open plan is communications2 -- when Sally needs to get a piece of information to Bob 50 feet away, the fastest way for her to do that is to stand up and yell. Add hundreds of other sources like ordinary conversations, phone calls, and the always-on squawk boxes linking other floors worldwide by voice, dial all of them up to 11 as everyone tries to be heard over everyone else, and you have a continual roar. When something major happens somewhere in the world, you can actually hear it ripple through a trading floor, starting with the group(s) who are most immediately affected, spreading across the rest of the floor over the next few moments. This situational awareness is crucial4. If you want to have an organization that is that much of an agile machine, and if everyone on the whole floor signs on to work in a high-energy sprint or hackathon-like environment full-time, then it can work. It's hard to put numbers on it, but the revenue per headcount of the financial industry on average does tend to be higher than that of tech5. I used to go to the trading floor when I needed to hide and code -- the chaos of an unleashed open-plan environment is a sea of white noise, perfect for concentration, with plenty of ambient energy to keep you from drifting. That "white noise" effect won't work if the open plan office is too small. In the comments below, @DevSolar and I discuss small offices of 5-10 people, including the likely size of Joel Spolsky's office when he first advocated office doors for developers. As of this writing, a google search for "open plan office white noise" turns up articles discussing the use of noise generators to increase the masking effect in small offices. I used to build trading floors in NYC before the open-plan office idea started catching on big in the San Francisco Bay Area. I'll do my best to find citations for these claims, but it's going to take time. Much of what I describe above is just "generally understood" in the trading industry3, and most research about trading instead focuses on the instruments rather than the environment. I welcome comments and edits, and I'll return here myself as I run across things in the future. The cost of fit-out for open-plan areas is much lower than traditional offices. An open plan office design traditionally cost approx $400 per square meter. An average office fitout with a few offices traditionally costs approx $550 - $750 per square meter depending on the level of finish required. If you squeeze more people per square metre into an open-plan area than a traditional office, that is even more savings per employee. Does having a specification result in better code?